For Edward Fox, the complex fantasy world that he created, called The Zone, has always been his salvation. Traumatized at an early age by a terrifying kidnapping ordeal that forever left him scarred, both mentally and physically, his fictitious world is all that stands between him and the memories that plague him relentlessly. Inside The Zone, he is free from those memories, even if only temporarily, and there he feels safe and empowered from the real world around him. A magical realm where he can be whomever he wishes, whenever he wishes, with the awesome powers of a God always at his disposal. But now, something has changed. His worst memory of all has somehow found its way inside his safe haven, tormenting him mercilessly, forcing him to make a tragic choice. After a botched suicide attempt that leaves him lying in a coma, Edward awakens in The Zone to find that now the rules have been dramatically altered. His God-like powers have been stripped from him, leaving him alone and helpless in a world of magic and mayhem that is ruled by a mad Emperor bent on his annihilation … an Emperor that seems all too familiar. Peopled by diverse characters from his past and present, some of them determined to destroy him, and some to save him, Edward must somehow learn to survive against all odds as a vicious war erupts around him, with the prize not only control of The Zone itself … but his mind as well. The concept behind this book is really exciting--a trauma victim whose escape-world comes alive, complete with serial killers, set in the modern day and a fantasy world. That sounded like it was right up my alley, and since the reviews were pretty good, I grabbed it for a great low Kindle price. Unfortunately, the quality level of the actual writing let me down. I was really disappointed, because I wanted to read the book. My standards for writing in popular fiction aren't such that I expect James Joyce, or even Terry Brooks or R.A. Salvatore. But I was unable to finish more than a few chapters of this book. I even skipped forward to see if things would get better, but the prose remained at the same quality level: more like a draft than a finished novel. Cloutier is clearly a beginning writer, which of course is not a crime. It looks like he just needs more practice. I really hope that he comes back and edits this book! I would love to read it, and its fellows in the trilogy, later on in his writing career. Terry Cloutier's The Demon Inside, Book I, is a well-conceived book with a complicated fantasy world and realistic characters. The novel centers on Edward Fox, who is abducted when he is a child by the serial killer David Wayne Diamond. Edward creates an imaginary world called `The Zone', where his mind goes in order to escape the torture Diamond inflicts upon his body as he slowly skins Edward alive. Though Edward is eventually freed before Diamond can kill him, who himself is killed by police, Edward never forgets `The Zone', and disappears inside this imaginary world whenever the real world becomes too difficult for him to handle. In some ways, The Demon Inside, Book I, reminds me of Terry Brook's Magic Kingdom for Sale--Sold!, Philip Jose Farmer's The World of Tiers, or C.S. Lewis' The Lion, The Witch, and The Wardrobe. All of these books deal with seemingly ordinary humans transported to a magical realm where they must learn the extent of their power in order to save the fantasy world. 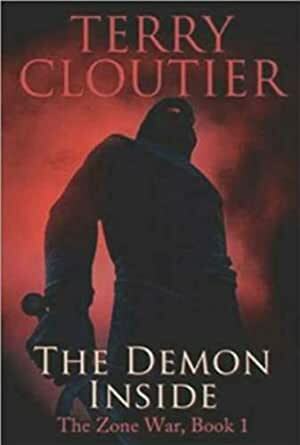 Though Cloutier's book follows a similar theme, he manages to create something fresh and uniquely interesting in The Demon Inside. Edward Fox isn't only trying to save an imaginary population, he's also trying to save his sanity by finally standing up to his inner demons. The characters in Terry's book are not simple. Many of them have their own agendas, which makes it difficult to put them in neat boxes of good and bad. Edward Fox is perhaps the hero, but in his adulthood, he is consumed by fear of his childhood tormenter. David Wayne Diamond's desire to skin kids alive is never fully explained in the first book, but he is not presented as a wholly evil, all-powerful nemesis. He has weaknesses which makes him all the more human, his survival is as threatened as everyone else's in the novel, and like everyone else, he desperately wants to live. The Demon Inside introduces the reader to a host of other characters, such as the wizard Eraac Storn, First Guardian Doorgen Sandon, or my favorite, the psychotic preteen Trueen Firth. The characters all seem like regular folk one feels could actually exist; no one acts mindlessly with their only purpose the acquisition of power or the singular desire to hurt and kill. Instead, the readers mostly meet military men or individuals on missions who are simply doing what they are told by higher ups, and who want to advance in the world in order to lead better lives for themselves and, often times, their families. The fact that the characters are multi-dimensional makes The Demon Inside all the more challenging to read. Overall, this is a very good book. There are some issues with language that becomes distracting at times, such as the overuse of adverbs and similes, particularly in the last third of the novel. Though the dialogue is mostly well done, there are some melodramatic moments when one can't help but wonder if an individual would really speak that way. But these are mostly quick fixes that can be resolved in a second or third Edition, and overall, the writing is strong and engaging. I am genuinely interested in knowing what happens in Book 2, and I only hope that the sequel will not disappoint. The Demon Inside by Terry Cloutier is the first novel in The Zone War Trilogy. 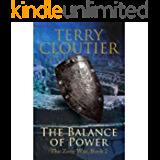 The second book, which is already released, is titled The Balance of Power: The Zone War, Book 2. The third and final book is scheduled to be titled The Master Eye, and is slated for release either late in 2008 or early 2009. It is not your traditional fantasy, sword and sorcery novel. It blends traditional fantasy with a few scenes set in the modern world. I knew this was included in the novel, and initially, it made me a little leery of reading it. I usually only read medieval type fantasy so this, I thought, was a little out of my comfort area. I am really pleased to have decided to take the chance on this novel. The plot of this novel has some aspects of traditional fantasy novels, a fight between good and evil. However, the package that it is in is something that is quite rare. Due to a very traumatic experience as a child, Edward Fox was forced to partition his mind. When that happened, a new world came into being The Zone. The main plot of the book focuses on Edward Fox, as an adult, being thrust into The Zone yet again. However, unlike when he was a child, he no longer has control over anything in The Zone. He is trust into the middle of a war that is going on, and there are several factions of people who seek to gain control of him because he is the Creator of the Zone. There are also a couple of sub plots woven into the story such as; a group of monks who's only purpose is to serve the Creator and help put an end to the Zone, there is a slight political sub plot with a certain group of characters, there is the sub plot of facing ones demons, then of course there is the sub plot of how a child deals with the extreme trauma. When I first approached this novel and read the back cover, I was unsure just how deep the plot would be, however once I finished the plot was extremely satisfying. It was an almost perfect mix of main plot and sub plots and kept me continually interested. Even the `modern day' scenes didn't jar me out of the story as I thought they would. They were kept rather short, but added quite a bit to the story. The characters in this book, at times, take a little bit of a back seat to the plot. There are a couple of times that I felt the characters were being dragged alone by what was happening instead of them making the choices that would move the plot forward. There are some very interesting characters in this novel, and one in particular seems to steal scenes he is in. He doesn't appear until later in the novel but the character of Taagaa, was extremely interesting and I only hope he appears in the next book as well. Other characters such as Edward, Eddie (young Edward), Jasmiine, Quint, Storn, Doogren and Daamand are all well written and interesting. They all held true to what you would expect their actions to be under a variety of circumstances and situations. For this type of book, there are a lot of characters, but I never felt as though I lost track of any of them and I can honestly say, there is not one character I didn't have some type of emotional reaction to. From the first page, to the last word, the characters are solid, well defined and interesting. 1 - As good as the characters are, I would have like to see a little more characters development scatter throughout the pages. It seems the vast majority of character development, especially with Edward, happens in the last fifty pages or so. Also, adding some secondary character development here and there may have taken this novel to the next level. 2 - There were a couple places where the dialogue between characters seemed a little forced and almost on the verge of what I like to call an information dump. Almost as though there was a great need to give the reader a piece of information, and the only way to do it was to just let it go from a character. This wasn't a resounding issue by any means, and does not take away from the overall enjoyment of the book but it is present. 3 - There were a few times when I think a little more description of the scene/ environment may have benefited me as a reader. Just giving me a better idea of what the authors true vision was. I have read enough fantasy novels where I was able to fill in the blanks, but I wonder if what I filled in was truly what the author intended. Enough of the criticism, what did I really enjoy about this novel, besides almost everything. 1 - The prose and pacing is fantastic. For a debut book from a new author this novel is incredibly polished. The prose is fluid and is written in almost such a way that Mr. Cloutier is daring the reader to stop reading and put the book down. 2 - The story. Some fantasy stories try to be more than what they are. This novel however, is what it is and doesn't claim to be anything else. It set up the world, and provided a very good story with surprising depth to it. 3 - The structure of the novel. The modern scenes were mixed perfectly in with the main parts of the novel. As I said in the opening, when I first heard there would be modern elements to the story I was worried they would dominate the book and take away from the fantasy aspect. However, after finishing it I can only say those modern elements actually helped to enhance the story and provide a base for what was going on. It was a brilliant move and one that worked extremely well. For a first time author, this novel is fantastic. In deciding what to rate it I ultimately decided on a 4 star rating over a five, mainly because a five star rating, to me, signifies perfection. The way I see it, there are still a few (minor things) that could be tweaked. Hat does not mean by any scope of the imagination that this is not a good book. It's very well done and I will certainly be reading the next one right away and eagerly awaiting the third. If you are a fan of the fantasy genre, or even looking to get into the genre, I strongly encourage you to check this book out. It's a great read and one that I will most certainly be recommending to people in the future.